Based on Queen Street right in the town centre, we run as a not-for-profit business, with all income put back into providing a superb atmosphere and top facilities for our members and guests. You don’t have to belong to the Catholic faith to enjoy our club, as everyone is welcome! With function rooms available for up to 150 guests, you can celebrate your anniversary, birthday, christening, wedding or engagement here. Or, book us for a Charity Night, Band Night or Presentation Night. Use the form on the right to make your enquiry or just call us. We have top class cabaret acts every weekend throughout the year. Check our Events List below so you do not miss your favourite stars! Here in the heart of Blackpool Town Centre we have three superb function and meeting rooms available to book. Holding up to 150 they are ideal for Club Meetings, Wedding Receptions, Birthday Parties, Engagements, Anniversaries, Retirements and any other celebrations. Our Ground Floor Rooms offer Disabled Facilities. We may be a Blackpool Town Centre venue but we enjoy social club bar prices that will delight your guests. We host any type of function and can provide entertainment and full catering to make your event one to remember. Great entertainment all year round at Blackpool Catholic Club, the club with the warm welcome to all – members and non-members alike. Karaoke Show – You be the Star! BINGO AND RAFFLE ON ALL ENTERTAINMENT NIGHTS! Our Function Rooms can host from 20 to 150 persons. Call us on 01253 628835 or fill in the quick form to make an enquiry. 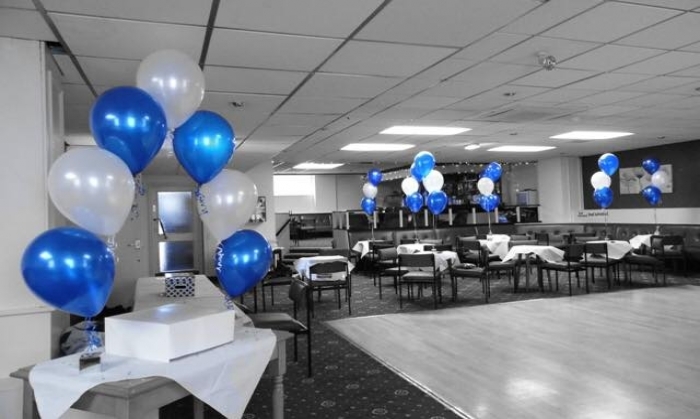 Our stunning Blackpool town centre function room is available to book for any occasion. It features a private bar, stage area and seating for up to 150 people. Live entertainment in the Lounge every Friday, Saturday and Sunday. Every Monday and Friday afternoon Andy Knight on The Keyboards with Vocalist and Singalong plus Open Mic with Bingo and Raffle.